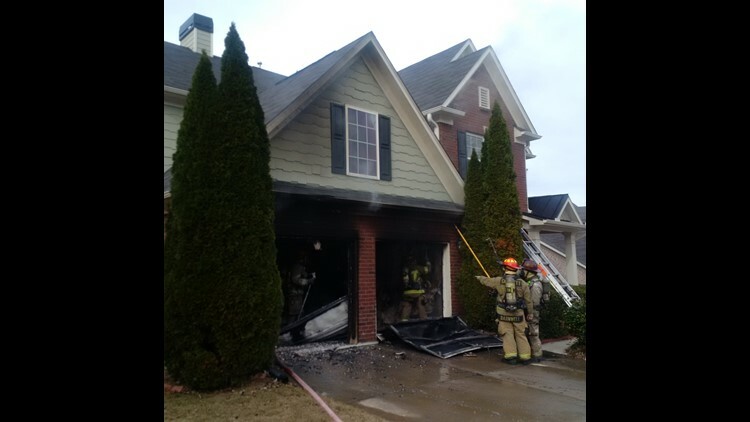 Fire investigators are working to find what sparked a garage fire at a home near Suwanee. Neighbors called 911 after seeing smoke and flames coming from a home in the 1800 block of Belmont Creek Pointe around 1:40 Thursday afternoon. Investigators arrived to find fire in the garage of the two-story home. Firefighters were able to get the fire under control in about 20 minutes. The fire damage was contained to the garage, but the first and second floors suffered extensive smoke damage. Investigators believe the fire started in the garage. No one was home at the time of the fire.